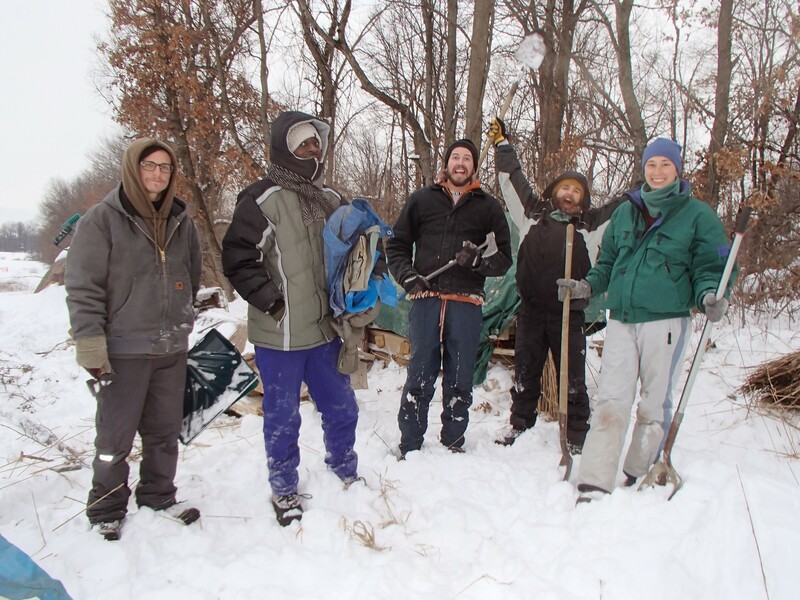 2014 Winternship ~ the full experience report ! Rocket Stove – fired up! Winterns: Zack, Jimez, Ben, Scott, Kirstin ! What a rich time with so many elements weaving: workshops, natural living skills, Permaculture Meetup and Full Moon Potlucks. 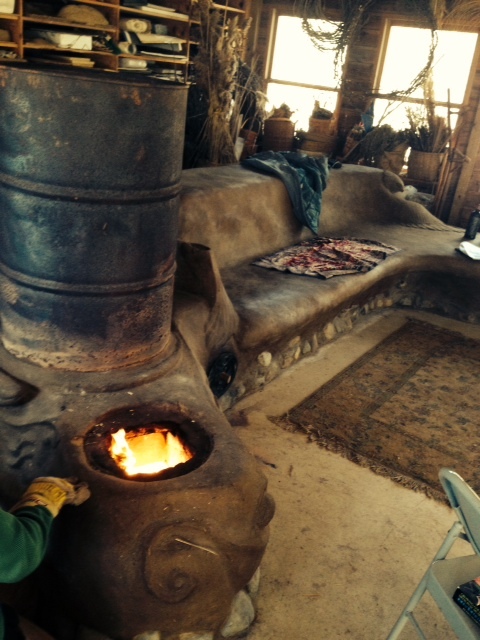 Workshops included Rocket Stove, Earth Plaster, Thatching and Round Pole. We did reed collecting, although the snow was so deep for so long, it was quite challenging! Curious about “snedding”, “injira sponge bread” and other things we did ? …well, click on the links below !